Kashmora Trailer: As per the scheduled date, Karthi’s Kashmora Trailer has released by the Think Music today on October 7 along with the Kashmora songs on its Official Youtube channel. The Kashmora meaning is the Black Magic, which means the supernatural power or a powerful magic for evil. There is a big history behind this word “Kaashmora” so, check it out through the Google search. The Kashmora First Look poster was released on August 18. The Audio and Trailer release date have announced within few days after the release of the first look. The Dream Warrior Pictures will ready to screen the Karthi’s new stunning Warrior look on Diwali festival. Idarkuthanae Asaipattai Balakumara fame Gokul’s directorial supernatural historical film has produced by the SR Prakashbabu and SR Prabhu under the banner of Dream Warrior Pictures. Scroll down and watch the supernatural historical horror film trailer here. The director also has fame with his another one movie “Rowthiram.” He is now with the post-production work of the movie featured in the lead roles of Karthi, Nayantara, and Sri Divya. After the blockbuster hit of Siruthai, Karthi will appear with the dual role. It is the biggest budget film in his cinema career. The people and the fans can expect lots of humor as well as the action sequence by the actor Karthi. He will appear as King ‘Raj Nayak’ and ‘a normal young man as ‘Kaashmora.’ The Kashmora songs track list has released recently by the production company. Nayanthara will appear as the lead female role and the Sri Divya as a second lead female role. Watch Kashmora Trailer here below at the end of this page. Actor Vivek has shared his space as a father of Karthik. Santhosh Narayanan’s second audio launch of this month has also happened today. Om Prakash and VJ Sabu Joseph has handled the cinematography and editing works respectively. Karthi, Nayantara, Sri Divya, Vivek, Hiphop Rathina, Siddharth Vipin, and Jangiri Madhumitha are featured in this film. Play the latest supernatural Karthi’s Kaashmora Trailer here below. After Babu Bangaram (Inkokkadu in Tamil), Nayanthara will appear on the screen again by this film in this year. This Dual role Karthik’s film will ready to compete with the actor Dhanush’s dual role Kodi film in this Diwali. Recently, Nayanthara’s Rathna Mahadevi Firs Look has released by the moviemakers and got viral over the social media along with the hashtag of #RatnaMahadevi. Sri Devi will appear as the character of Yamini. The Think Music released the Official trailer after 45 minutes from the Scheduled time due to some technical issues. And the 2 minutes 09 seconds Tamil & Telugu trailer has been released as a private unlisted video on YouTube. A small baby has appeared at the beginning of this trailer video along with some questionable words. 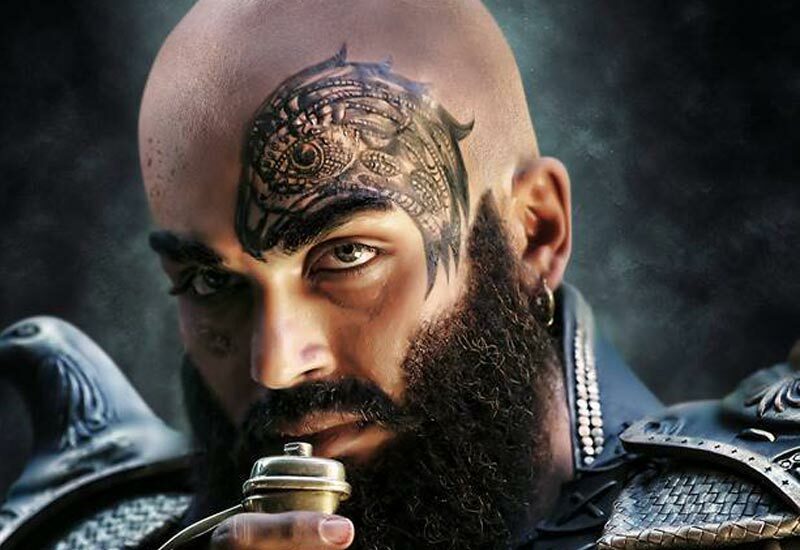 Sri Divya revealed the Kaashmora story by this Character on screen.